Click here to check out the full review! Click here to see the full review! New Review for "A Dark and Stormy Day"
New review in Elmore Magazine for Alessandro Fadini's "It Was a Dark and Stormy Day"
AXS.com Review of "A Dark and Stormy Day"
The reviews keep coming for Alessandro's newest release! Check out the full review here and stay tuned for more! Back at Rose Studios today in Brooklyn and this time its for my debut album recording as a bandleader! Had a really great session with very inspiring musicians. Got about 10 tracks done in as many hours. Including originals by each member of the group. Setup for today's session. Including the first time my pad controller setup will be recorded as a live drum machine. Next step is LOTS of mixing. Stay tuned for snippets, teasers, and the full release before you know it! 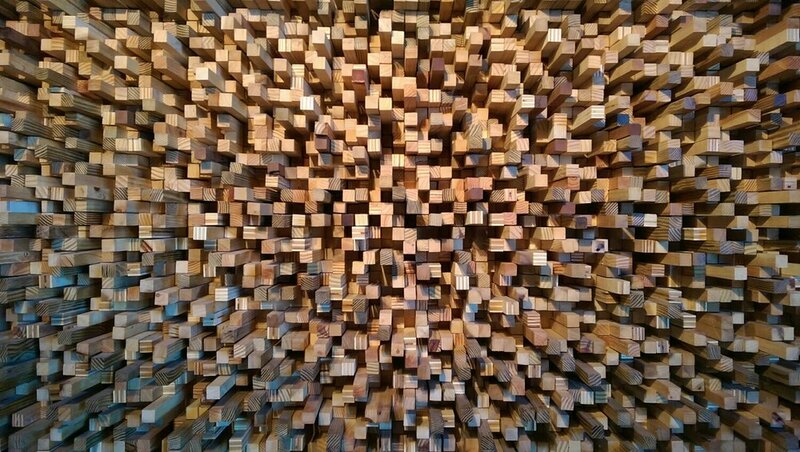 Beautiful diffuser wall in the engineering room at Rose Studios. In the Studio With Fort Vine! Drums are FINISHED for the upcoming Fort Vine release! Big shoutout to Danny Rose and Rose Studios in Brooklyn for making the process so enjoyable. Next up is another writing retreat up in the Catskills to finalize the other instrumentals. Stay tuned!! "A Dark and Stormy Day" by Alessandro Fadini now available everywhere! I'm incredibly proud to announce that, at long last, "A Dark and Stormy Day" by Alessandro Fadini is available for streaming/purchase though all major online music retailers. I consider myself very honored to have been a part of this project. These are some of the most incredible musicians I've worked with during my time in New York and Aleks is has become one of my closest friends and musical allies. Seems like just yesterday but believe it or not, we recording this album over the course of two days last summer. Below is the teaser video. After that, links for purchase and the Spotify play button! I urge you to purchase a physical copy, if possible. A lot of hard work went into this album and it's a great way to repay a musician as dedicated to pushing the culture of jazz forward as Alessandro is. Below is the Spotify play button. Enjoy! The latest aPPLEbYTES session is in honor of Valentine's Day and is a song that was very dear to me as an 18 year old first stepping foot into the "Little Big Band" at SUNY Oneonta. The Isaac Hayes version features a deep groove that began to heavily sway me towards incorporating funk, hip-hop, r&b grooves into jazz music. Take a listen and let us know what you think! Just finished up recording/filming a new video with my main man Alessandro Fadini. We've got a little Valentine's day treat for you featuring some duo-electro-soul goodness. But in the meantime...check some of our older videos!